Getting to the Valley of Cinti isn’t easy. The road from the southern city of Tarija passes through a Martian landscape of bare-boned mountains, coloured purple from all the magnesium in the rocks. The path across these mountains is lonely, populated largely by dogs that wait patiently by the side of the road, hoping for food scraps tossed from cars. Finding the entrance to the valley takes time and a few false attempts. Once inside, however, an oasis reveals itself, the plants shockingly green against the red mountains and the blue skies. Up close, what’s here is even more astonishing. When the Spanish arrived in the sixteenth century, one of their most dramatic discoveries was Cerro Rico, the world’s richest silver deposit. Potosí, the city at the foot of the mountain, became the richest city in the New World; the mint mark applied to its silver is said to be the basis for the dollar sign. To supply the mines – and also have wine for mass – the colonists and Jesuits planted both table grapes and wine grapes, which were mostly Muscat of Alexandria. The first vines were planted at Mizque in Cochabamba, and then in Cinti in 1584. 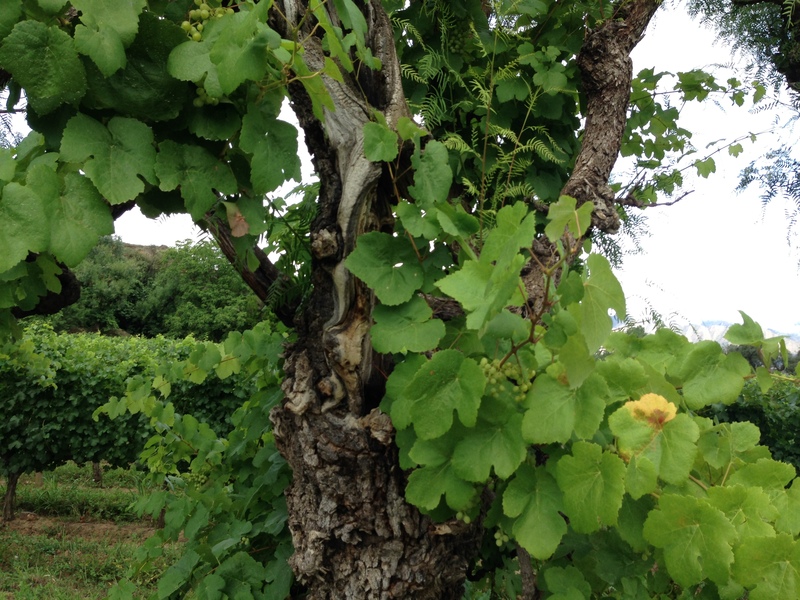 Some of those vines still exist, and many are to be found here, in one of the last remaining vineyards. Tended by owner Armando Gonzalez, it’s jungle-like jumble of trellised vines and towering trees; it was created to be that way, because the Jesuits chose to train their original vines over trees. Both trees and vines are severely pruned, and then bound with stems of the totora plant, which is so strong and flexible it’s used for making boats. There are also bush vines; these are not the goblet vines that squat near the ground that can be found in Europe. Left to their own devices, the vines have become so massive and woody, they’re indistinguishable from trees. “This is viticultural archaeology,” says Cees van Casteren MW, who has been consulting to the Bolivians through the auspices of the Dutch government’s centre for the promotion of imports from developing countries, the CBI. Van Casteren’s main mission is to help create an export programme, but he has now set himself the task of trying to save Bolivia’s remaining ancestral vineyards. The grapes are labour-intensive and often uneconomic. Rumour has it that 2,000 of these historic trees were felled in 2013 – and there may not be many left. Although Gonzalez is still spry and active, he’s in his 80s, and can’t farm this land forever. But no-one in his family wants it. “Cinti has been proposed as a living museum to UNESCO,” says van Casteren. “But the process takes a long time.” He is currently working with locals to try and find a buyer for the property. The other project on van Casteren’s books is coaching the members of the newly-formed Wines of Bolivia on how to approach export markets. The group, consisting of 14 wineries, is heading to ProWein 2015. Tarija, the country’s southernmost city, attracts people who come for the lazy summer days. Fancy houses with electronic gates sit next to shacks whose security systems consist of broken bottles cemented on top of adobe walls. In December, members gathered here to celebrate the launch of the Wines of Bolivia web portal, whose objective is “to reach potential importers and journalists specialised in wine,” said president Franz Molina of Los Parrales. Designed with the CBI’s help, the portal represents a collaborative way of working that is new to here. Until recently, Bolivian wineries went their own way, although eight to ten of the largest ones were part of a private organisation, ANIV. But after an approach by the CBI, Wines of Bolivia was born in 2013. Of the several hundred wineries in Bolivia, only the 14 most serious have joined, but there will be others in due course. The time is right, because the Bolivians have been improving their wine quality. “Here in Tarija, we always tended to bring technology from Argentina, because we are so close,” says Prudencio Navarro, who studied at the University of California, Davis. 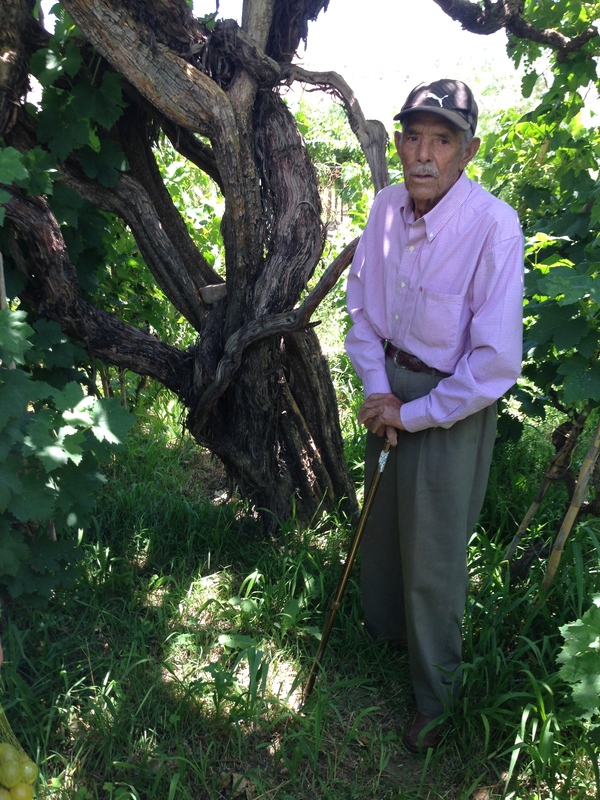 “For many years we produced wines thinking that we could not produce higher quality wines.” The problem, he thinks, is that Argentina’s focus was on high-yield varieties unsuitable for Bolivia. When new technology and disease-free material arrived from California and France in the late 1970s, better wines emerged. Now a new generation of highly educated, internationally-travelled owners are helping to drive the rapidly improving quality. As well, the Bolivians have discovered they have something unique – altitude. Bolivia has three winemaking regions: the Central Valley of Tarija, the Valley of Cinti and the Valley of Santa Cruz, with vineyards scattered around other small pockets. All these regions have one thing in common: altitude. Bolivia’s vineyards run along the Andes Mountains, the spine of South America. Grapes are grown at heights ranging from 1,600 metres above sea level (masl) to 3,000 masl which, according to a CBI report, mean Bolivian vineyards are the highest in the world. The cool temperatures and differences between day to night temperature found at altitude force grapes to ripen more slowly. They develop more acidity, more colour and a greater range of aromas and antioxidants. Some varieties also seem to produce more resveratrol, the compound with potential health benefits. The Juan Cruz was named in honour of the oldest worker from the winery. “Who else names their wines for workers?” Castellanos asks rhetorically. “But Bolivia is a very poor country and relies on the people who work here. They deserve credit.” The Juan Cruz is 14.1% abv, which Castellanos says is rare. “Mostly you get 12.5% and 13%.” The wine is around €20.00 ($23.00) and its grapes come from low-yielding vines. The water system is in some disarray, although the government has promised to release more water in 2015, so the current level of production probably represents the region’s limit. So why go for the export market, when Bolivia will be unable to create a mass-market brand any time soon? Partly it’s the pride of appearing on international shelves, but it also makes economic sense. Producers previously relied on grapes smuggled from Peru and Chile, but a crackdown on that has halted supply, and sent local grape prices skyrocketing. Although both domestic consumption and gastronomy is growing, and Bolivian wines appear on restaurant wines lists, Bolivians only consume 300 mL of wine per person right now. And those who do drink wine can buy smuggled Argentine wines more cheaply than Bolivian wines, which typically retails at between $2.00 and $9.00. To keep improving the quality, the Bolivians need another source of income. Competing in the global market with a low-volume, niche product is never easy. But Bolivia has two clear strengths. One is altitude, which gives both genuinely interesting wines and a unique selling point. The other is Singani. Claudia Morales, CEO of La Concepción, is on a mission to revamp her winery and her labels. But one thing that’s fine as it is are her well-maintained vineyards: modern trellising, bordered by ancestral vine trees. 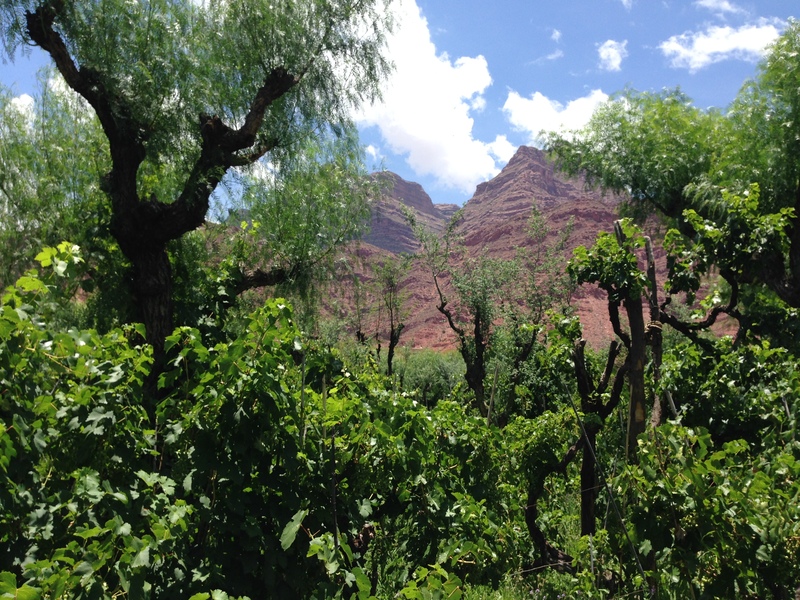 “This vineyard is between two hundred and two hundred and fifty years old,” she says. “The estate passed through the hands of many important people.” After she has poured her wines – Syrah, Cabernet Sauvignon and Chardonnay – Morales opens a bottle of Tarixa Singani, aged for seven years in French oak. It’s often the case with liqueurs and spirits that when they’re virtually unknown outside their own country, it’s because they don’t compete well in the global market. But when the Singani hits the glass, it gives out aromas of citrus and blossoms; it’s as complex and deeply-layered, as subtle and aromatic as a fine Cognac. Singani, a brandy distilled from Muscat of Alexandria grapes – including the old tree grapes – was originally distilled for Potosi’s workers. Today, it’s a revered part of Bolivia’s heritage, with both a Denominación de Origen and Geographical Indication. It’s also a multi-functional spirit, used in cocktails and other drinks. And it has a champion – Hollywood director Steven Soderbergh, who tried some when he was filming in Bolivia in 2008. He has contracted with a winery to make him a brand – Singani 63 – which he imports into the US, and which has generated huge publicity in the past year. Already trendy New York bars have picked it up, so it’s only a matter of time before it spreads across the world – opening the way for Bolivia’s wines. It could have no better ambassador. An international project, Families of Wine introduces some of the world’s most prominent wine families.